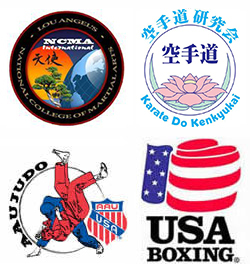 Rest assured, most people feel intimidated when starting something new, especially martial arts! Our philosophy with new students is that they (you) are the future of the art, future training partners, and hopefully a future friend. 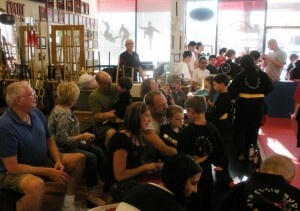 The numerous benefits to being involved with martial arts should be something everybody has a chance to experience. 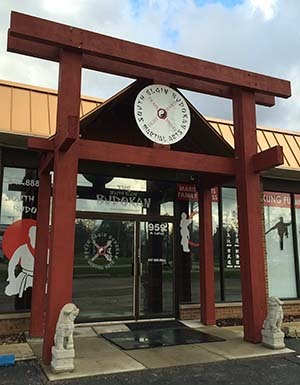 The confidence that comes with training your body and sharpening your mind carries over into everyday life and when someone walks into Budokan Martial Arts for the first time we want them to feel like they belong! You don’t need anything special to start, just workout clothes, a water bottle if you have one, a positive attitude, and a willingness to learn! We have all the equipment you are going to need to start. We don’t allow street shoes on the mats! What defines a street shoe? Any footwear that has been worn outside on streets, sidewalks, playing fields, backyards, etc. Most people train barefoot but some like to wear wrestling or boxing shoes, martial arts shoes, low profile trainers….whatever you are comfortable in. Each class is a little different; many of our classes involve partner based training. Before you start getting nervous, keep in mind that we have the friendliest and most helpful group of people training here! Remember, everyone was a beginner at some point! We invite you to try any of our regular classes for free!